Excellent grip and driving pleasure is achieved, as all the characteristics of a summer tyre are evident in the g-Grip All Season. The tyre sports a directional V-shaped tread design for rapid water dispersal and a central rib and large shoulder tread blocks are included, for perfect steering control. This tyre offers unrivalled driving pleasure on winding roads, straights roads as well as wet and dry surfaces. Unrestricted by the winter, the g-Grip All Season gives drivers guaranteed excellent control, when climbing hills and taking curves. Good control on snow is also clear thanks to the large number of sipes and high percentage of grooves included in the tread pattern design. 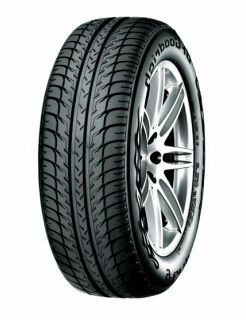 The g-Grip All Season has the 3 Peak Mountain Snow Flake marking (3PMSF) which makes it an ideal winter tyre.